This Microgaming site is accessible online or via download, making it a great place to play a game of poker or two, which is what Vegas Slot Casino does well. 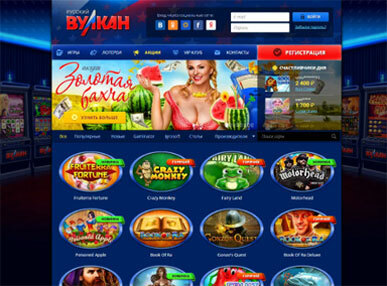 With a jazzy, flashy site full of all things Vegas, players are immediately drawn in to its enticing layout. The design is simple but colourful and the top games are accessible straight away, whether it’s slots, roulette, progressive jackpots, or its live casinos and video poker. 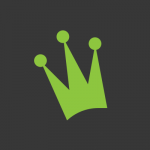 The site is owned by Casino Rewards so you know you’re getting safe, secure gaming with reliable payouts. There are more than 500 games on offer, covering all the classics like roulette, progressive jackpot games, blackjack, slots, and of course poker. The best thing about Vegas Slot Casino is probably its poker variants. 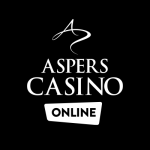 Experience the fun and adrenaline rush of an exciting game of poker either online or via the downloaded software, the latter of which seems to be a better experience, plus you can play at your leisure. The download process is simple and recommended for a smooth gaming experience. For any issues, the live chat option can give you all the help you require. Once it’s installed, you’ve got over 500 games right there on your computer. There are also 16 progressive jackpot games through which you can play for games that pay out really big. You can start with bets as low as $1, and if you play your money right, you can come away ten times richer. One of the big games at Vegas Slot Casino is Major Millions, a simple, but highly entertaining - and rewarding - slot game. There are numerous other options when it comes to the slots, including the highly advertised and popular 3D Break Da Bank Again. As is immediately advertised on the site, you get a welcome bonus worth up to $700. The small print means this is split over the first five deposits made. The minimum deposit amount is $20, and your first deposit has a 100% match bonus up to $100. A second deposit is worth 50% match bonus up to $150, a third 30% up to $150, a fourth 20% up to $100, and a fifth 10% up to $200. It may seem like a lot of extra details, but it’s a good incentive to keep you depositing and playing at Vegas Slot Casino. The minimum deposit of $20 and minimum withdrawal of $50, and the Casino Group owned Vegas Slot Casino means your money is safe and secure for both depositing and taking out. Cash out time varies depending on the payment method you use. E-wallets like Neteller and Skrill are highly recommended and seem to be the quickest and most efficient method, taking between 24 and 48 hours. Credit and debit cards are also accepted for a cashout time of around 3 business days. Bank transfers are also accepted and usually take around 6-10 business days. There is a cashout limit of $4,000 a week. Vegas Slot Casino has been around for a while, and it’s not hard to see why. It is a safe, secure, and fair online casino with an impressive choice of games and downloadable option which is highly recommended and works smoothly on any device. Payouts can be very large, especially on some progressive jackpot games, with only a small wager in place. A fun experience overall.